Assistant coach Mark van Bommel speaks with head coach Bert van Marwijk. THE salaries of eight Socceroos coaches are coming directly out of the back pocket of new coach Bert van Marwijk, it has been revealed. The Dutch tactician admitted he is spending his own funds from his very own bank account to help Australia progress past the group stage of the World Cup in Russia. 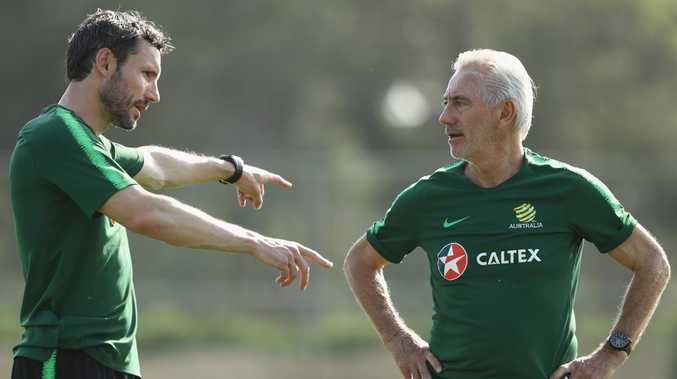 In a bid to prolong Australia's stay in Russia, van Marwijk, who is on a short-term contract worth a little more than $1 million, has employed eight Dutch coaches and staff members. 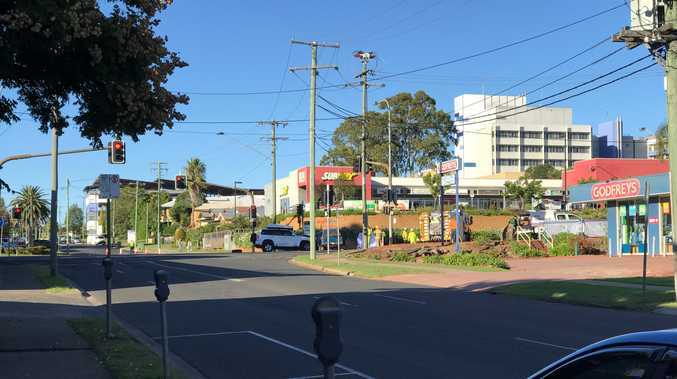 His decision to dig into his own pockets for funds came after the Football Federation Australia (FFA) informed him that they would continue to pay the wages of the existing backroom staff that helped the Socceroos qualify for the World Cup under Ange Postecoglou. 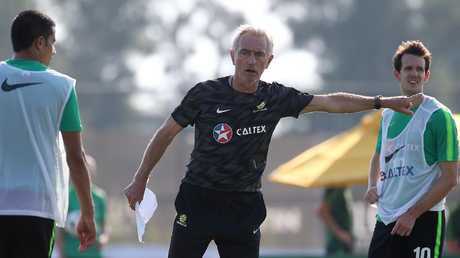 Van Marwijk however opted to also bring in some of his own staff at his own cost, indicating the Socceroos did not have the time for him to spend forging new relationships. "I need that because I don't have the time," van Marwijk said. "When you try to develop a team in such a short time I need to work with people who know me." Bert van Marwijk takes a Socceroos training session. His backroom staff include World Cup Runner-Up and Champions League winner Mark van Bommel. "I know these guys and they don't come for the money, they only come to perform. That must be very professional," van Marwijk said. Socceroos fans would be pleased to see that the Dutchman has invested so much into the team in such little time, putting his emotional (and financial) expenses on the line with this bold move.